WhatsApp, as a messaging application for portable device, have gained a warmly welcome and good reputation from all kinds of people all over the world. So, you must have saved lots of important conversation and messages in the WhatsApp application on your mobile phone, right? However, more and more Android users are suffering from WhatsApp data loss for this or that reason, then how to find back deleted WhatsApp messages on Android? It is no doubt that WhatsApp message losing will cause some troubles, especially when the messages are crucial for you. Thus, Android users are looking for the way to restore deleted, lost WhatsApp messages on their Android devices, but obviously, not all of them can find the ideal solution at once. And sometimes you may spend lots of time to find a solution, and finally find it is useless here. 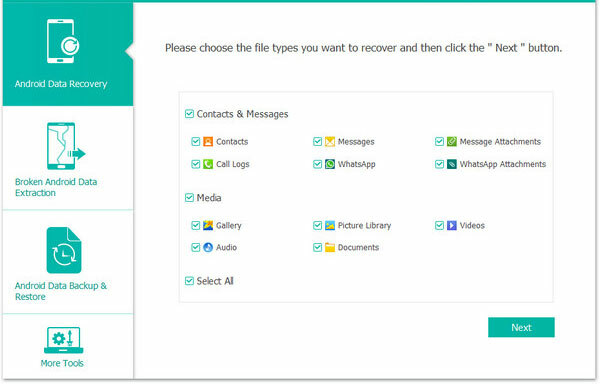 Therefore, in order to save your time and help you solve the trouble, here we could like to strongly recommend a reliable WhatsApp Message Recovery software for your reference. Step 1. 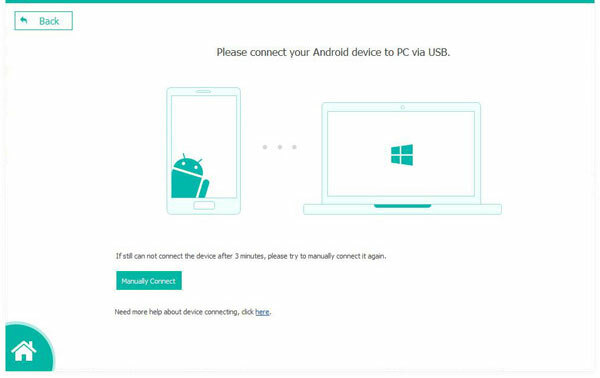 ROOT your Android phone and link it to computer with USB cable, then launch the program. 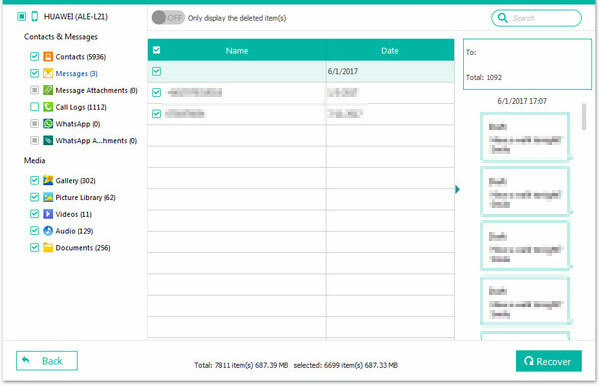 Here, you can directly enter the mode of "Android Data Recovery". Step 2. If your device is enabled USB debugging, you'll get a window to require you to select the file types you wish to restore for scanning. Here, just tick the types of "WhatsApp". Then, click "Next" to begin the process. But if the USB debugging is not opened, you can follow the prompt instruction to enable it on your device at first. Step 3. The scanning may take a few while, you can click "Pause" or "Stop" button to end it if you find the data you need have been found. After that, you can find data on your Android device have been categorized. Just click the option of "WhatsApp Message" in the left panel, and then you can preview the detailed scanned messages in the program. Mark the message you're looking for and click "Recover" button to save them on your computer.